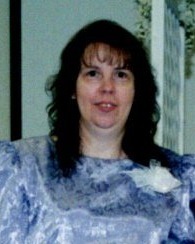 Susie Hall Garmon, 62, passed away on Monday, April 1, 2019 at Robin Johnson House. She was born January 3, 1957 in Gaston County to the late Loyd Bobby Hall and Catherine Louise Parker. Susie worked for A&E and she was a Pastor’s wife for 32 years. Susie enjoyed playing the piano and singing with her husband and family. In addition to her parents, she is preceded in death by her husband of 32 years Davey Lee Garmon, Sr., son Davey Lee Garmon , Jr., and sister Shirley Mayhew. Left to cherish her memories are her daughter Regina Maxwell and husband Mike of Gastonia; son Jimmy Garmon and wife Christina of Kannapolis; sister Kay Wilson and husband Bill of Kings Mountain; brother Buck Hall of Virginia; daughter-in-law Sandy Mixon and husband Michael of Albemarle; 8 grandchildren; one great-grandchild on the way. Her funeral service will be held at 2:00 p.m. Friday, April 5, 2019 at Sisk-Butler Funeral & Cremation Services with Rev. Jeff Upright, Minister Christina Garmon, and Pastor Ronnie Simmons officiating. Her family will receive friends from 12:30 to 2:00 pm Friday, April 5, 2019 at Sisk-Butler Funeral and Cremation Services. Interment will follow at Westview Gardens, Gastonia.